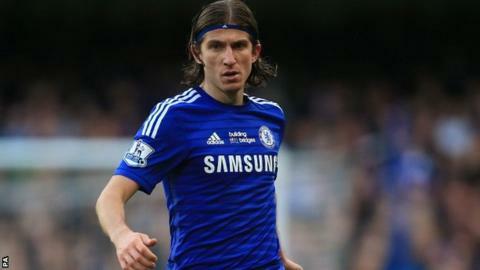 Left-back Filipe Luis is close to leaving Chelsea after one year at the club, according to boss Jose Mourinho. The Brazil international, 29, has made 26 appearances for the Blues since joining from Atletico Madrid for £15.8m last summer but the two clubs have been in talks about a return move. Mourinho said: "In this moment we need a left-back because I think we are selling Filipe Luis now or tomorrow." Chelsea have been linked with Augsburg left-back Abdul Baba Rahman, 21. Mourinho, who led Chelsea to last season's Premier League title, added they are only planning to sign players if others leave Stamford Bridge. "At the moment we don't want players. It's simple," he said. "We must be ready because it looks like the market is open, and there is always a risk somebody comes for one of our players or one of our players shows an interest in leaving."